Now that we’ve officially entered arctic freeze season in the Northeast, we all deserve some warm and delicious comfort food for breakfast. 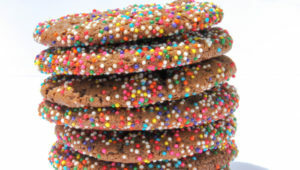 Plus, by the end of this week most of you will have given up on your New Year’s resolutions or finished whatever day 30-day terribly restrictive diet that would have prevented you from eating this delicious treat. 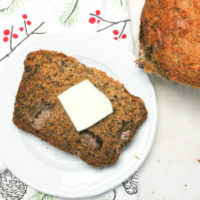 So treat yourself with the best flavor combination I’ve mashed together to make this Banana Gingerbread. The holidays got me in the mood for all things gingerbread flavored. And I love banana bread. 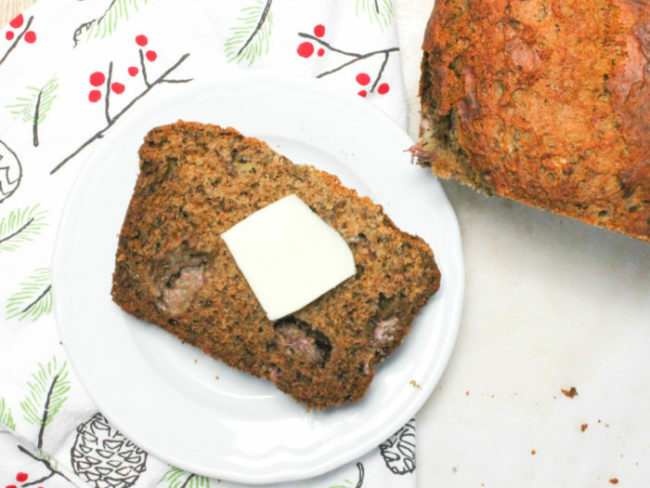 So after a few rounds of recipe testing, I think you’re going to love this Banana Gingerbread. Admittedly, I made this back in November and sent it out for my holiday cookie swap with plans to have this recipe posted in time for Christmas morning. But between the holidays and life, it took a little longer to get around to posting this, but now I’ve got a bunch of great recipes for you coming soon. And this one was definitely worth the wait. I first got the inspiration for this recipe when I ordered 3 bananas from Instacart and instead received 3 BUNCHES of 8 bananas. Yes, 24 bananas. That is bananas. Literally. 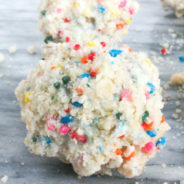 So I gave a bunch away, froze a bunch, and then used the rest to recipe test this. So when life gives you bananas, make banana bread I guess is the moral of that Instacart snafu. 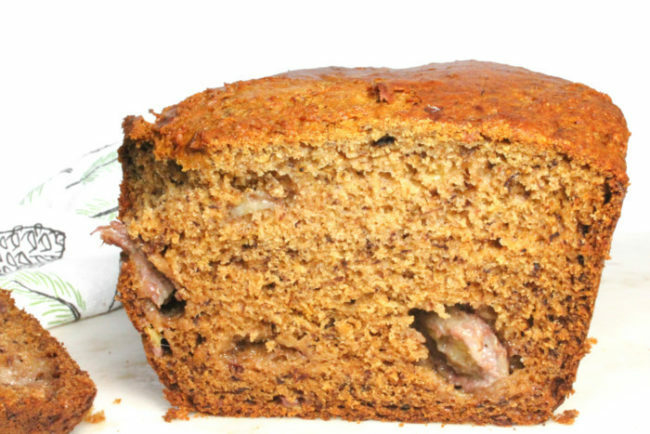 No one likes the word moist, but everyone likes moist banana bread. And the trick to achieving that perfect consistency is in addition to the mashed up bananas that go into the recipe, folding in a sliced banana at the end. 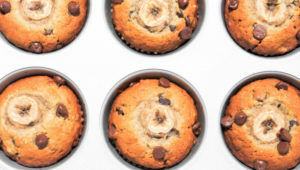 I learned that trick from The Baker Mama and have used it in all of my banana bread and muffin recipes ever since. 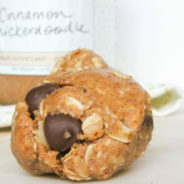 The gingerbread flavor comes from the combination of the ground ginger, cloves, nutmeg, and cinnamon. 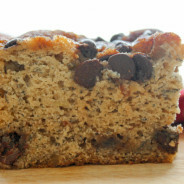 I always add extra cinnamon to my banana bread recipes because I just love the flavor. 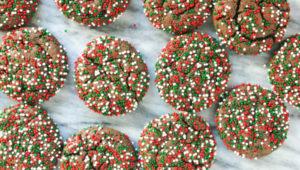 The first time I made this, I accidentally omitted the molasses and it came out great, but I think the addition of molasses really seals the gingerbread flavor so you almost think you’re biting into a delicious cookie. And if you’re not slathering on a giant piece of butter and letting it melt on a warmed up slice of bread, you’re doing it wrong. Also, if you think there’s a such thing as “too much butter” on anything, then we clearly cannot be friends. The great thing about this recipe is you could easily make this into muffins, and freeze the extras and just warm them up whenever. When I sent these to my friend Jen, I wrapped the individual slices in plastic wrap so that they were easy to store for a little longer and grab on the go. 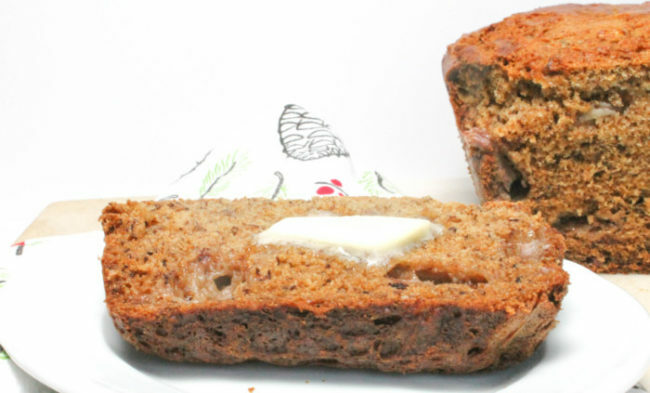 So the next time you find yourself with a bunch of extra ripe bananas, bake up a batch of this deliciously flavorful Banana Gingerbread. Preheat oven to 350 degrees F. Line a 9x5 loaf pan with parchment paper, spray with non-stick spray and set aside. Mash the four ripe bananas in a bowl and set aside. Use an electric mixer to cream together the melted butter and sugar. Mix in the eggs, milk and vanilla extract. Use a wooden spoon or spatula to fold in the mashed bananas. 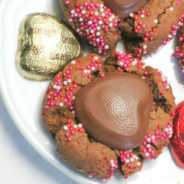 Sift together the all-purpose flour, baking powder, baking soda and spices and slowly add to the wet mixture. Stir slowly with a spatula until the dry ingredients are fully incorporated. Gentle fold in the sliced banana. 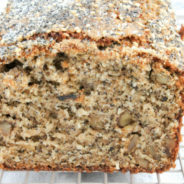 Pour the batter into the prepared loaf plan and cover loosely with aluminum foil. Slice and serve chilled or warm with some butter. Wrap in plastic wrap or store in an air-tight container refrigerated. Enjoy!